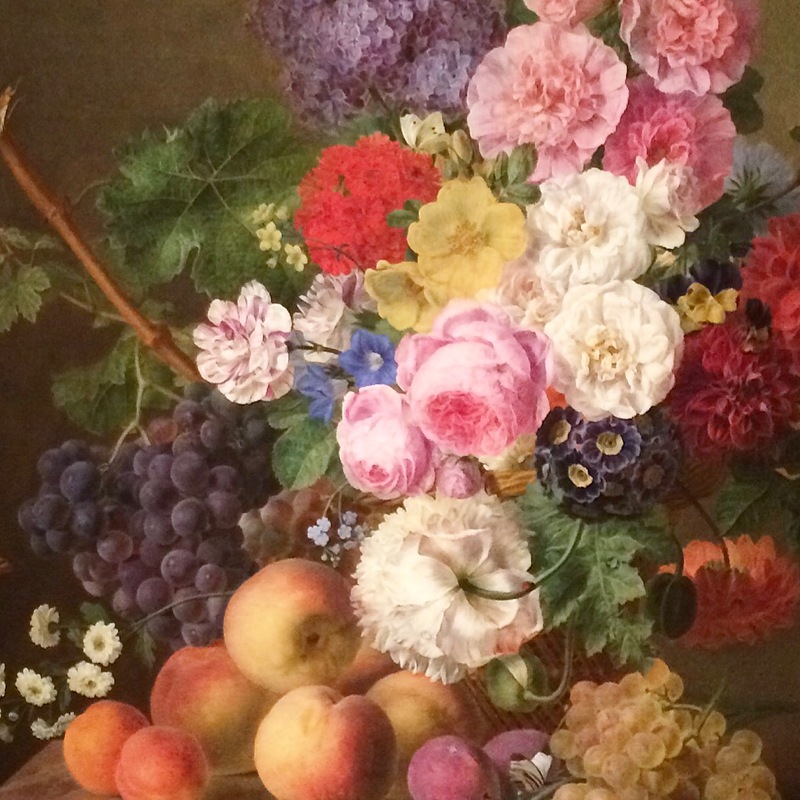 On Saturday Korena and I went to the Dallas Museum of Art to check out their most recent special exhibit titled Bouquets: French Still-Life Painting from Chardin to Matisse. It was gorgeous. The whole exhibit, filled with floral still lifes, was truly swoon-worthy. Above is a photo of one of my favorite paintings that we saw at the museum – doesn’t it look so real, like it is an image from a photo shoot instead of paint on canvas? We marveled at the intricacies of each painting, and it was fun to see how the style progressed over the years (initially the pieces were super detailed, like the painting above, and they evolved into a more expressive, Impressionist style, a bit wilder and brighter and more abstract). The exhibit was beautifully curated, so we spent lots of time soaking up the amazing art and learning lots of fun new tidbits about the artists whose works were featured. It was the perfect way to spend an afternoon. Dallas friends, the exhibit ends on February 8th, so there’s still time to get to the museum and check it out! What an work of art !!!! I can stop staring at your photograph so can imagine what it must have been like to look at the real painting. .. the misty haze on the grapes and the subtle ‘furriness’ on the apples ……truly amazing.